The Woolworths’ new convenience-type-store in Kirribilli has competitor stores already feeling squeezed despite the new store only being open for a few days. News.com.au reported the owner of the fruit shop next door had cancelled his lease and another convenience store across the road has begun to consolidate his external florist to within the store. The new store, selling ready-made meals and barista-made coffee, had only been opened for a few days before causing waves within the area. Kirribilli House of Fruit owner Nick Economidis told News.com.au locals had promised to continue to support him and other small businesses in the area but that cheaper pricing would win out in the end. “You just can’t beat these big boys,” Mr Economidis said. “Catering for busy city workers, Milson Point train commuters, tourists visiting the area and local residents looking for quick and easy ‘grab and go’ shopping options, the new Woolworths Metro offers a curated and contemporary range,” Mr Nolan said. 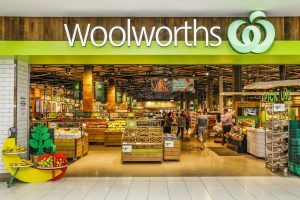 Woolworths is out to crush all smaller food and convenience retailers and has no real opposition in Australia due to the incompetence of most other chains except Aldi. Time for the ACCC to act and a new, expanded grocery inquiry is needed. It’s the natural evolution of the market from a cook-at-home (supermarket) to heat-at-home (convenience) model. I don’t think Woolies can be blamed for wanting to help drive that evolution and profit from it. Perhaps independents should look at forming co-ops as a means to compete. This would be problematic as retailers like to be their own boss and don’t necessarily comply with standards (brand or quality). Sadly, using wholesalers as independent operators doesn’t work well, because the wholesaler has one interest only, and that’s their shareholders/owners. When your wholesaler’s wholesale cost for private label products is greater than Woolies retail sell price for similar private label products you know there’s a problem.